But for now, let’s focus on the other experiences, which were generally positive. 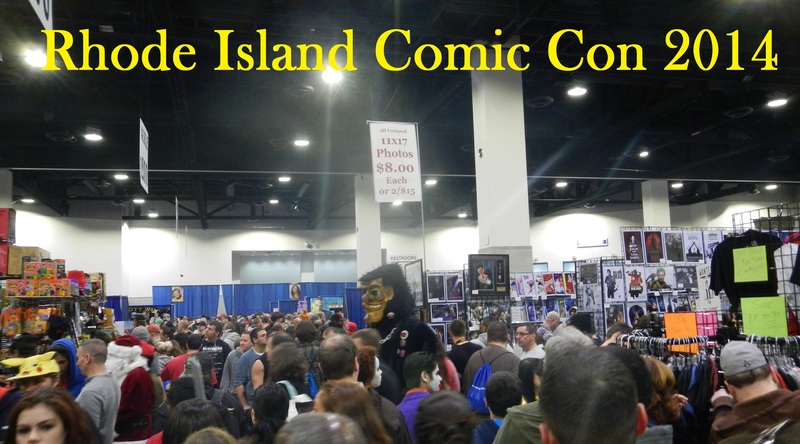 The con took place on November 1st – 2nd with a Halloween party the night before (on Halloween). The party was decently attended. I enjoyed the drink list which had tasty choices such as the Ecto-1, the Ooze, and the Beetlegeuise. And of course, it was a great place for the cosplay to begin. What Are Your Favorite 1-Shot Comics? We haven’t had a “Top 10” post in a bit. Everyone seems to love those, but there’s so many out there, coming up with an original idea for them can be a bit daunting. But now I’ve an idea, and I’d like you, our readers to help out building this one. Why am I turning to you? Have you ever read the comments on the lists out there written solely by the authors? EVERYONE has their own advice. I don’t consider myself a definitive authority. Yes, I love comics, but I know there are plenty I’ve never read. So, email me at info (at) nerd-base.com and let me know your favorite 1-shots!! Fantastic stand-alone comics that you’ve read that stuck with you. They could be part of a series, but not part of a story arc. When submitting, please include a quick review, images if you have any, and a link to your own blog/page/twitter if you have one so I can add attribution to the entry. The team and I will check out the reviews and pick from there.